Water Heater Code Requirements: What do you Need to Know? NTT Inc. - Water Heater Code Requirements: What do you Need to Know? When working in the plumbing industry, it doesn’t matter if your employees service commercial facilities or residential, everyone within your business needs to know the latest plumbing code requirements. This includes water heater code requirements. While these codes are not constantly changing, updates and alterations to the code do occur from time to time. In order to keep everyone within your business compliant with water heater code requirements, you need to seek out appropriate educational assistance for your workers. Doing so not only keeps your employees up to date but it allows your business to stand out as a quality service provider. What Are Some Standard Water Heater Code Requirements? Standard code requirements are put into place to keep residents and commercial facilities safe while reducing the potential negative impact on the local environment. Water heater codes include information based on leak testing, the kinds of materials you can use during the installation of water heaters, and how you can control corrosion on top of the necessary venting for a specific location. It is vitally important for your company to have a deep understanding of water heater codes as failure to remain on top of the latest updates can result in your clients receiving fines from local and state governments due to not having their water heaters up to code. These issues may lead to lawsuits against your company for failure to deliver up to date code services. As a Business Owner, What do I Need to Know About Water Heater Codes? There are different key points associated with water heater codes. Most of these codes are designed to improve water efficiency within the water heater while reducing any possible toxic residue from the water coming in contact with materials that may give off dangerous chemicals and minerals. 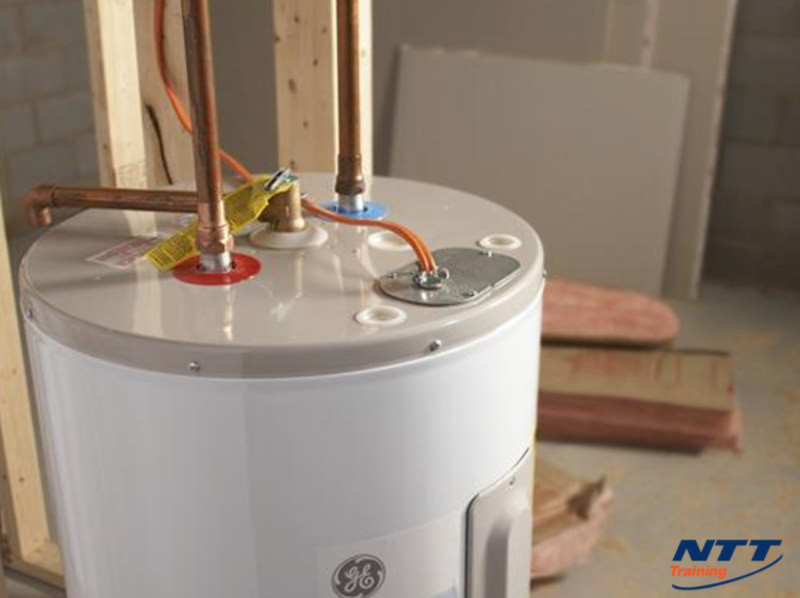 If you run a plumbing company, you need to know exactly the kinds of materials you can and cannot use during the installation of a water heater. You also need to know what ventilation requirements not only the client has for their particular building but also the kind of water heater you are installing. It is your job as the service provider to keep the recipient of your water heater installation and assistance up to code. Should your business fail to provide code regulated services, you run the risk of losing clients, facing expensive and time-consuming lawsuits. There is also the possibility of having state and local governments coming after you for the failure to deliver code-regulated services. Due to all of this, it is important for you to educate your company on the latest water header codes. How Can Water Heater Codes Impact My Business If Employees are Not Properly Trained? Every employee you have who goes out and provides a service to a client needs to be up-to-date on all the latest codes. Any failure on the employee to provide code regulated services may come back and cause problems for you as a business owner. Your employee represents your business, so if they fail to deliver the needed services it means your business failed to deliver the services. In order to avoid the negative side effects of employees failing to deliver code-regulated services, you need to do your part and educate everyone within the company on the latest code requirements for water heaters. With the help of an educational seminar provided by an accredited instructional institution, you and your employees will learn all of the latest codes and standards and how these requirements are applied to varying plumbing systems. It does not matter if your company provides plumbing services for residential, commercial or industrial facilities, every job revolving around a water heater does have codes you and your company needs to follow. With the needed education, you’ll avoid failure to maintain standards as identified by the water heater codes while ensuring your clients are not only happy with your services but are likely to return for additional needs. With the help of an onsite plumbing seminar, everyone in your company can learn the valuable updates to the water heater code at once. If you are ready to provide this kind of education to your employees while making sure your company offers the most up to date plumbing services, now is a great time to look into NTT Training Inc. and the educational seminars we provide.